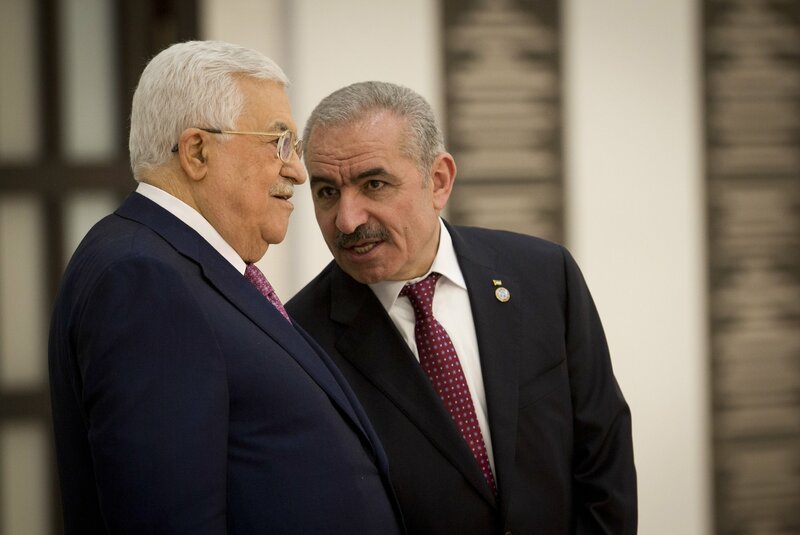 RAMALLAH, West Bank (AP) — A new government for the West Bank-based Palestinian Authority was sworn in Saturday, led by a veteran peace negotiator and harsh critic of Gaza’s Hamas rulers. Ishtayeh faces tremendous challenges, with the PA in a deep financial crisis following US sanctions and Israel’s withholding of $138 million in key tax revenues it collects on behalf of the Palestinians. Israel says the slashed sums were designated for families of Palestinian who carried out attacks against Israel. But Hamas accused Abbas of acting unilaterally, saying in a statement Saturday that swearing in a “separatist” government “boosts the division between Gaza and the West Bank as a practical step to implement the ‘deal of the century,’” the name the Palestinians use to refer to the undisclosed US peace plan. In a meeting with the new cabinet, Abbas, 83, called on them to continue “to fight the (Israeli) occupation with all legal means,” referring to UN organizations, as well as through “peaceful popular resistance.” He said Israel should bear the “consequences” if it did not withdraw from territories it occupied since the 1967 Mideast war. By MOHAMMED DARAGHMEH. Associated Press writer Fares Akram in Gaza City, Gaza Strip, contributed to this report.